DynaPier® | Premier Foundation Repair, Inc.
Premier Foundation Repair Is One Of The Select Contractors In The Country Authorized To Use The DynaPier System. DynaPier is an advanced, interlocking, patented pier system with innovative design segments comprised of high-strength concrete, while providing superior shear strength and compressive resistance as proven by independent testing labs. It provides permanent repair with the best warranty in the industry. These are no ordinary piers. Each pier has a unique core strength, and each individual pier connects with other piers to form a new, strong support network underneath your foundation. The outer casing is filled with a concrete core, and cured for maximum hardness. The DynaPier® segments are hydraulically driven into the ground one at a time. 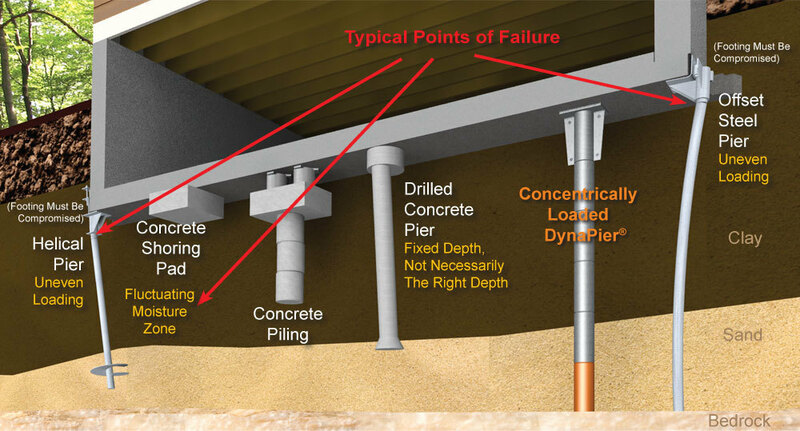 After one DynaPier® segment is driven, another segment is connected to the foundation pier, and the process is repeated until the foundation pier hits bedrock or a dense strata of subsurface material. The foundation pier is then topped with a steel cap, and finally, the house is lifted and secured on the foundation pier. Learn more about the foundation pier installation process. ALL parts are connected to form a monolithic pier. 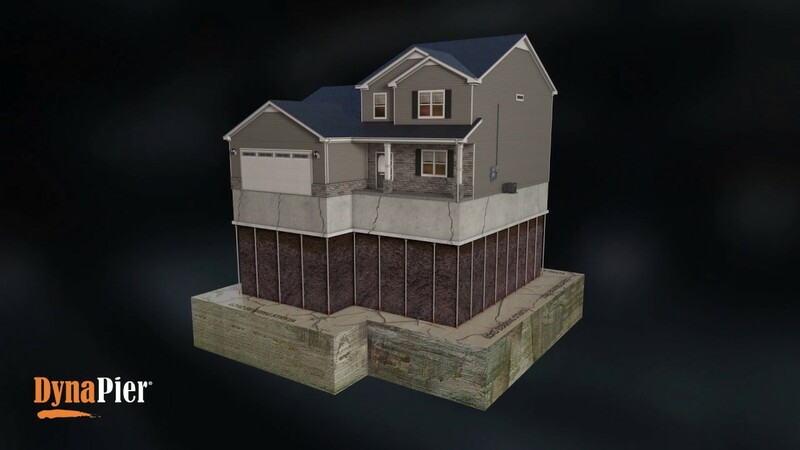 The result is a foundation that far exceeds the home's original structural integrity, making your foundation better than new. Premier Foundation Repair is an authorized DynaPier dealer in Dallas. The DynaPier® system is installed directly beneath the load/footing and foundation, with no loose shimmed components that can allow for slippage, ALL parts are connected to form a monolithic unit. When it is time to fix your home’s foundation it is important to make an informed decision to protect your biggest investment. But there are many choices when it comes to foundation piers and with so much information, choosing the correct pier can be a difficult task. So how do you know which pier to choose? We compared our foundation pier to the offset steel pier to show homeowners why the DynaPier® is the best choice. It was built to last forever, and the technology and engineering behind the DynaPier® is far superior to any other foundation pier on the market.